Home › Product Portfolio › Why Choose CFU? For 125 years, the Croatian Fraternal Union (CFU) has provided solutions for our members’ financial needs. From our original offering of basic assistance and mutual aid, to our current portfolio of modern insurance and savings products, the CFU continues to provide financial peace of mind to our members as well as the opportunity to participate in a variety of fraternal programs. When an insurance or annuity product is purchased from the CFU, an individual becomes a member and has access to numerous benefits and activities on all levels of the Society – local, regional and national. These programs are focused on preserving and promoting Croatian heritage and culture, humanitarian and charitable giving, support of higher education, patriotic and civic undertakings, and other fraternal activities that enable our members to support each other and their communities. The CFU offers a complete portfolio of quality, affordable programs to meet your financial needs. The CFU consistently demonstrates financial stability and responsibility through prudent and experienced management of assets. Profits are returned to members through dividends and through access to a full array of fraternal programs. Rates are affordable and compare favorably with commercial insurance companies. The CFU has no stockholders – It is owned and operated for the benefit of members and their families. Members receive courteous and efficient service and are never subjected to administrative loads or fees. 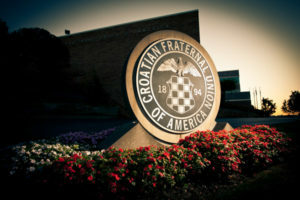 The CFU is the only Croatian Fraternal Benefit Society in existence in North America and is the largest Croatian organization outside of Croatia. We invite you to take advantage of all that the CFU has to offer!